As we’re slowly forgetting about the winter (well, unless you’re in Chicago), our minds turn to hot summers and carefree movement. The best thing about the warm weather? You need very little clothes. Plus, the clothes you wear in summer are highly customizable. The one thing everyone wears, regardless of gender, BJJ affiliation or any other group belonging, is a T-shirt. For most people, T-shirts are just clothes, and perhaps, for some, an expression of style, However, for your average, garden-variety grappler, they’re so much more. What are some of the best BJJ T-Shirts you can get this summer? 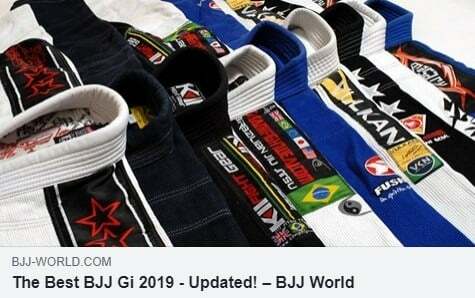 We have the answers as well as review fo the very best BJJ themed T-shirts for 2019! Unless your level of dedication to BJJ is of John Danaher levels, you most likely wear T-shirts. If on the off-chance, you’re a fan of rashguards, just like Mr. Danaher, we got you covered as well. However, for all of us casual BJJ addicts, a themed T-Shirt is probably as far as we’ll take it. Okay, perhaps a closet full of them, but that’s it, I swear! Joking aside, a BJJ T-shirt is a great way to express your style, affiliation, be comfortable and even train. Of course, if you’re a professional athlete, most of your everyday apparel is going to be determined by sponsors and the like. For all of us mortals out there, though, there are countless options when it comes to Jiu-Jitsu T-shirts. But what are the best BJJ T-shirts you can get? It’s a seasonal thing, of course, but we have you covered for this upcoming summer, at the very least! 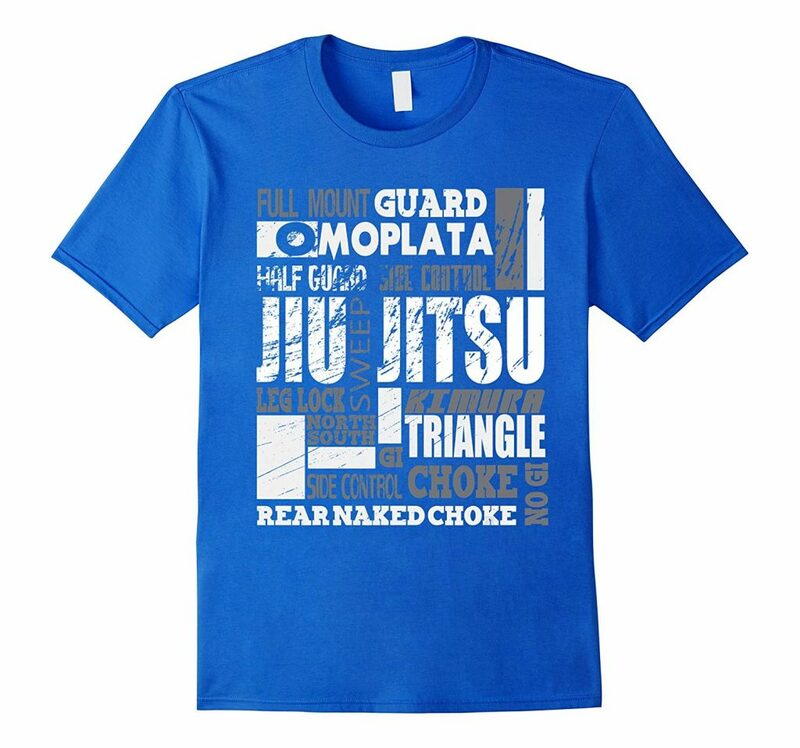 The reason we grapplers love our BJJ T-shirts so much is that they clearly express our identity, even when we can’t speak about Jiu-Jitsu as much as we want. Or at all, unless we don’t mind risking to alienate everyone that’s close to us. A BJJ t-shirt is a great way of showing your borderline manic dedication to the sport. Moreover, it is a great way to show affiliation, if that is your thing. 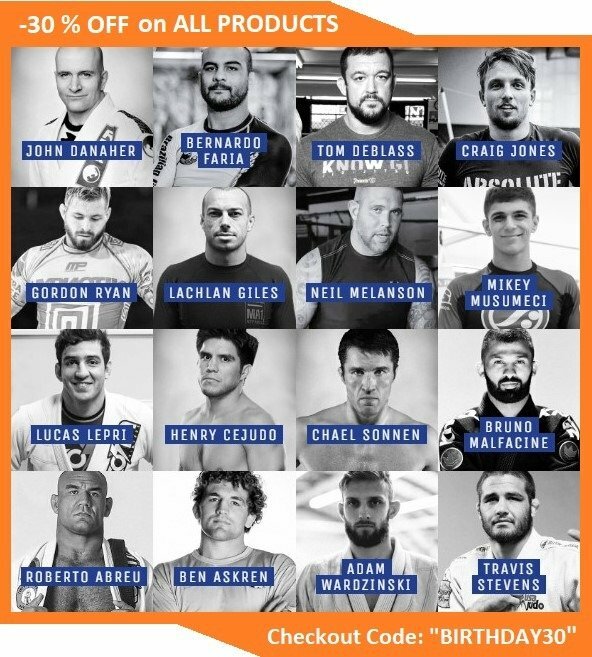 Let’s face it, even if you’re a fan of general BJJ T-shirts, you’ll still go for your academy one whenever you’re going to be in the company of other grapplers. 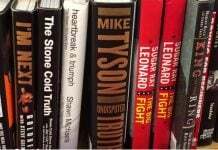 Whether it is a competition, a camp or you’re in the audience of a super fight, affiliation T-shirts are “mandatory”. Completely understandable, as it should be. In terms of academy affiliation T-shirts, we can’t really help. 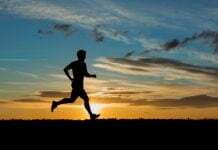 It is up to you to choose the best option for you, from those that are on offer. However, when it comes to “general” BJJ T-shirts, it’s open season out there. you have everything on offer, from basic stuff to mind-blowing designs and witty slogans. Or a combination of all of them. The thing is that you need to look for quality and comfort as well as design. After all, once you choose a BJJ T-shirt, you’d expect it to last you at least a few years. The best BJJ T-shirts are those that tick all of the above boxes. they’re comfortable to wear daily, or even train in them if you so desire. They offer a great variety in terms of color, and design. Of course, all of the T-shirts in our guide are very affordable and come at exquisite prices. All in all, we got the best deals to get you ready for the summer of 2019! This T-shirt is plain and simple, fit for any occasion. It comes in a black color and features a fairly simple, yet great looking design. 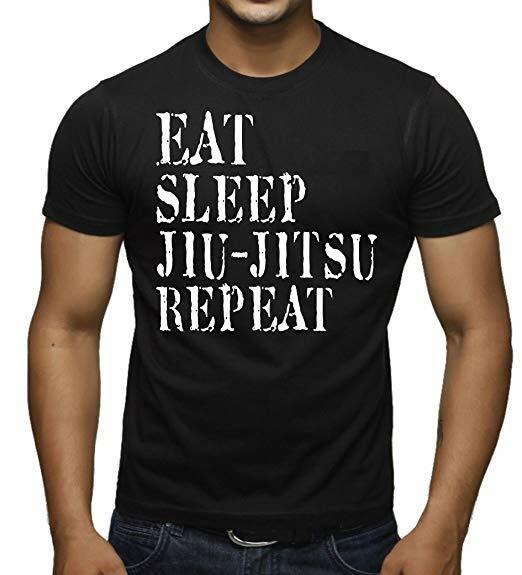 Large white letters with a Sheriff font write the phrase” Eat, Sleep, Jiu-Jitsu, Repeat”. it is a phrase most of us use or live by, anyway. The shirt comes in a large variety of sizes, ranging from small to 3X large. This means grapplers of all sizes will find what they’re looking for, the material is 100% cotton. Both the color and the print are resistant to virtually anything, so you can rest assured they’ll never fade. This T-shirt is also machine washable and comes pre-shrunk so you’d be hard pressed indeed to ruin this one. Since it’s pure cotton, the shirt is perfect for warm weather, as it is for wearing under the Gi. This one has the wittiest design of all the best BJJ T-shirts that feature in our guide today. And for a good reason, as it is a remarkable T-shirt overall. Let’s start with the material first. What you get here is a 100% cotton T-shirt that is available in three colors. You can choose between brown, navy or black as the foundation color. Moreover, you can choose different models of the T-shirt. There’s one for women, one for kids and one for men. On top of everything, each of the three models has a wide range of sizes to choose from. For the kid’s model sizes go from 4 – 12, for the ladies it is small to extra large, and men’s T-shirts range from small to 3XL. The shirt can be machine washed, but with same colored clothes and on a cold program. It is a premium T-shirt made from very lightweight fine jersey fiber. The ultimate shirt for daily use and/or training. You should also note that it is a slim fit design, so order up if you want a looser shirt. The design on this T-shirt is what really catches the eye. 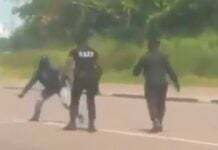 The middle shows a couple of grapplers engaged in ground fighting, with a red background. 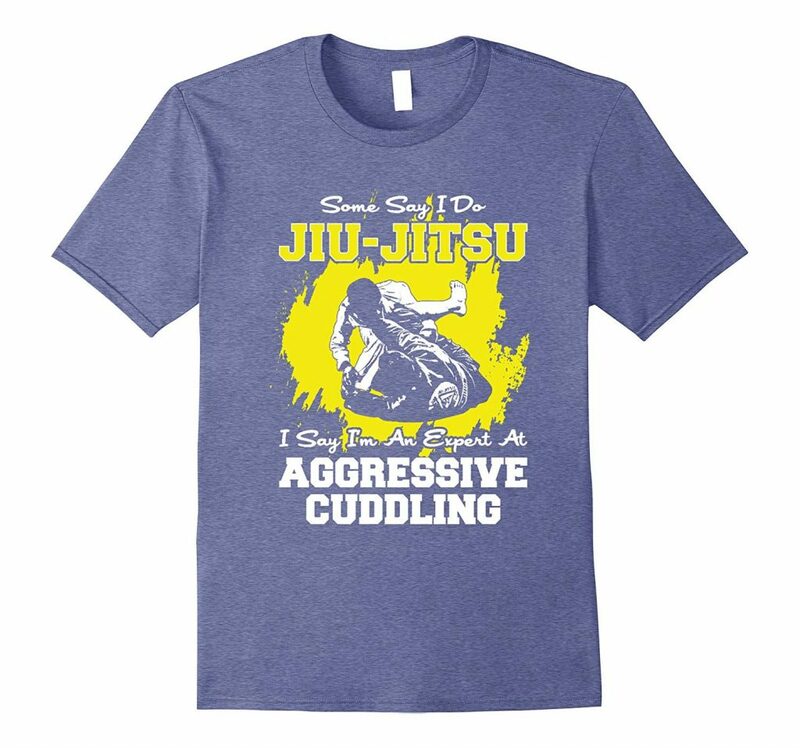 The letters read: Some say I do Jiu-Jitsu – I Say I’m An Expert At Aggressive Cuddling”. An awesome T-shirt to have on you this summer! Similarly to the first one in our best BJJ T-shirts guide for 2019, this T-shirt is simple but stylish. It is a plain color shirt, available in multiple colors. There are also plenty of sizes to choose from, starting at extra small and finishing with 3X large. 100 % cotton is the norm once again, guaranteeing comfort, breathability, and quality. The shirt can be washed in any machine and is safe to machine dry as well. No shrinkage rate whatsoever, or loss of color. The letters are simple, reading “Enjoy A Choke”. The first two words are smaller and lie on top of the T-shirt. 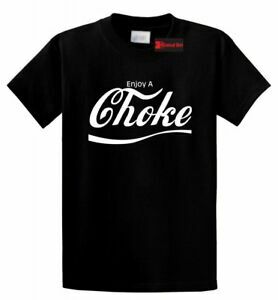 The word “choke” is the largest, written across the chest, In terms of style, the word “choke” is written in Coca Cola style letters, reminding a lot of the popular brand. A wavy underline completes the association with the popular drink. Choosing a black or a red T-shirt is going to provide you with the most stylish way of expressing your grappling interest/addiction. 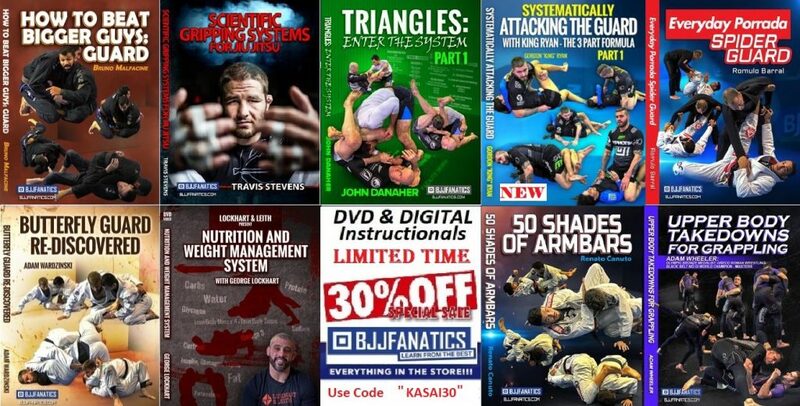 Time to take a look at a something that’s exclusive to the finer half of Jiu-Jitsu. While this is not a T-shirt per se, it still fits our quest for the best BJJ T-shirts for 2019. This tank top is sure to catch everyone’s eye while being extremely comfortable to wear. the only potential drawback is that it might not be the most comfortable thing to wear during training. However, it is tailor-made for the beach. Sizes range from extra small to 4 X Large. This ensures everyone can find a comfortable size. 100 %, super soft combed and ringspun cotton guarantees comfort. The T-shirt is extremely lightweight and features a super tight weave. The colors available are Lime Shock green and Wild Raspberry pink. 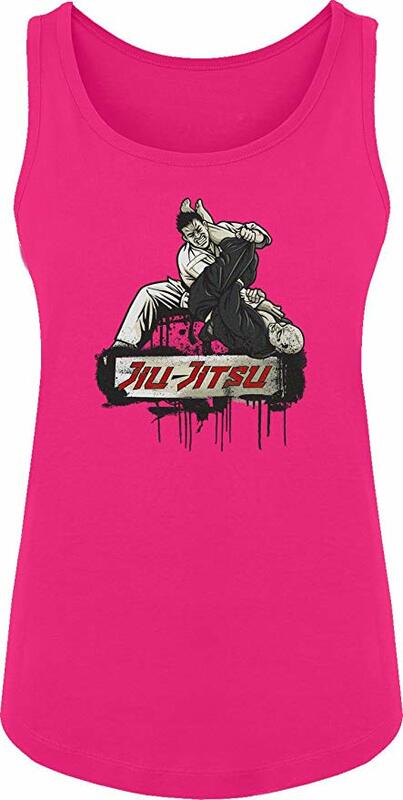 The design is that of two grapplers in Gis engaged in a battle, with the bottom one executing a really tight armbar. The manufacturer offers a 30-day return and exchange policy, in case you’re not satisfied. This is a “classic” T-shirt, at least in terms of what’s displayed on the front. However, the design is modern and stylish, while still fulfilling the requirements of those looking for simple but powerful designs. It comes in a black color, with white letters across the complete front of the T-shirt. The T-shirt is available in 6 sizes (S-3XL) and is a modern fit, unisex crop. 100 % pre-shrunk, extra soft ringspun cotton with a fine jersey knit. While the T-shirt is lightweight, it is not that light that it is see-through. Offers a perfect balance between comfort and durability. 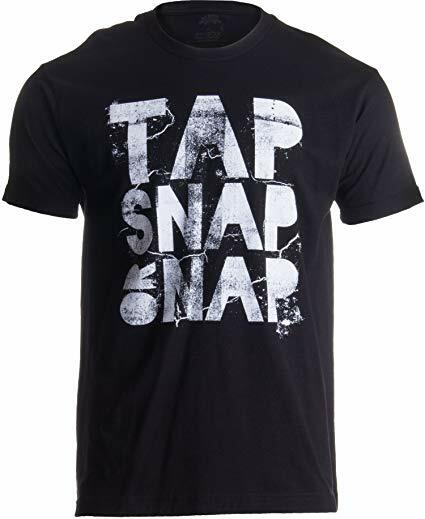 The design itself reads “Tap, Snap or Nap” across the whole front. The print ink is top quality QCM screen print ink, meaning it’s never going to peel off. The design is with cracked and faded letters intentionally, making the T-shirt extra stylish. This USA made T-shirt is going to come in handy for any occasion, from training to going out in an official manner. Machine wash safe. Make sure you consult the size chart before choosing your T-shirt. This one features one of the best letter-only deigns ever! The complete front of the T-shirt contains BJJ phrases, each addressing a specific area of Jiu-Jitsu. Basically, everything BJJ related is there – from submissions like leg locks and Omoplata to positions like half guard and the full mount. The way the shirt is designed, with different words written in different fonts, and running in different directions, this t-shirt is sure to engage everyone. On top of it, it looks extremely cool. Apart from the unique design, the reason this shirt is in our best BJJ T-shirts guide is versatility. It comes in three colors, three different models (youth, women, men) and a bunch of sizes pertaining to each model. All in all, you’re certain to find what you’re looking for with this T-shirt. The material is extra high-quality cotton, pre-shrunk, and lightweight. Safe for a cold wash in a washer and low heat drying. The design is virtually indestructible, and will even outlast the T-shirt’s fabric. Comes in a classic fit, with double needle sleeves and bottom hem. Finally, an unexpected contender that’s kind of in a category of its own. It is a custom shirt for pets, whether it is a dog or a cat. The shirt is sleeveless (logically) and comes in a black color, with white-edged hems. 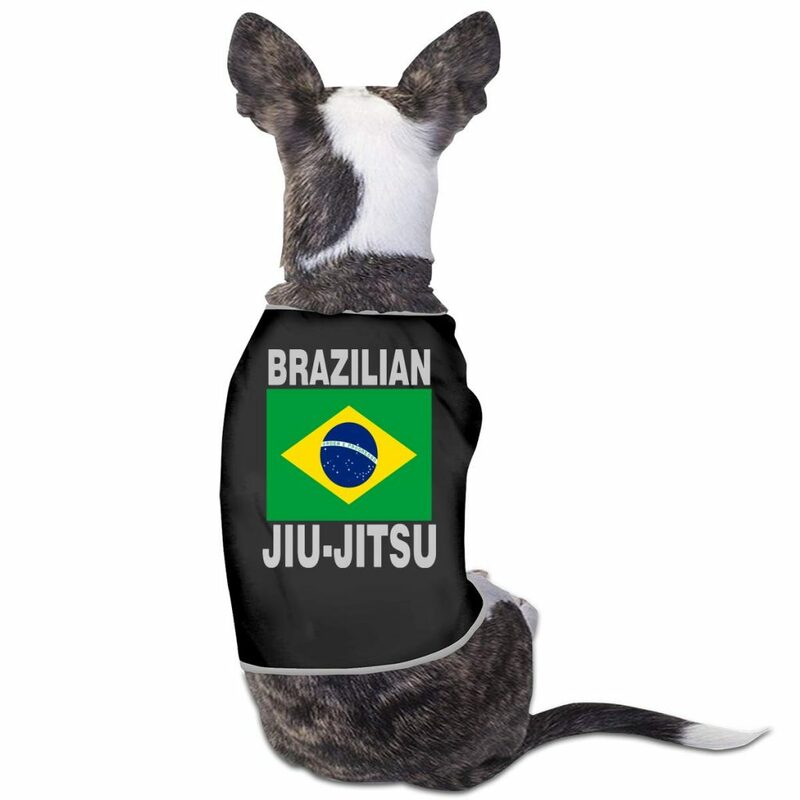 The design is simple, yet perfect – the Brazilian flag with the word “Brazilian” over it, and the words “Jiu-Jitsu” below. Simple, classic and eye-catching, when it comes to a pet wearing it. The material is 100 % polyester, meaning your pet is going to be safe from any potential allergies. The shirt is available in three different sizes, and you should consult the size chart before choosing. Keep in mind that it is intended for small to medium pets, regardless if it’s a dog or a cat in question. Now that we got you (and your pet) kitted up for summer, let’s talk comfort. 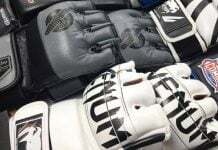 In terms of BJJ apparel, what grapplers really look for, is primarily comfort. 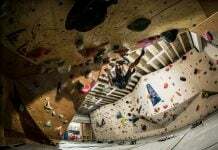 There’s a double need for this – both for carefree daily movement and training needs. Many people, me included, do like to spend as much time as possible in BJJ apparel. this means wearing it while you train as well. 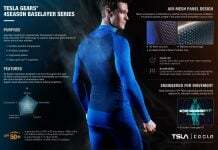 Plus, there are those, (Danaher fans look away) that actually can’t stand rashguards. For them, a comfortable BJJ T-shirt is the best way to extend the length of their Gis during training. Plus, a comfortable T-shirt means that once it’s past it’s prime, it can easily turn into your favorite sleeping T-shirt. In terms of style, there’s hardly a best BJJ T-shirt out there that can provide prudent information for everyone. The style is a highly individual thing that nobody can guide you through. What we did, though is offer something for everyone. Our guide offers different colors, different designs, different fits, and overall maximal versatility. You’re certain to find something you like from our guide her. On top of everything, it’s going to get an ultra high-quality product that’ll last long beyond the summer of 2019.